self care and making a difference doesn't have to be a trade off. here's how you can stay well and pay it forward at the same time. We’re thinking big about the power of our practice and what’s possible when we commit to the wellbeing of everyone. And we believe that it doesn’t need to be a tradeoff. It can be mutual. So we are designing a program that allows your wellbeing = everyone’s wellbeing. It’s that simple. What you might normally spend on services like yoga classes or organic meals of spa services, you donate that value back to the community to support the conditions that enable everyone to be well. 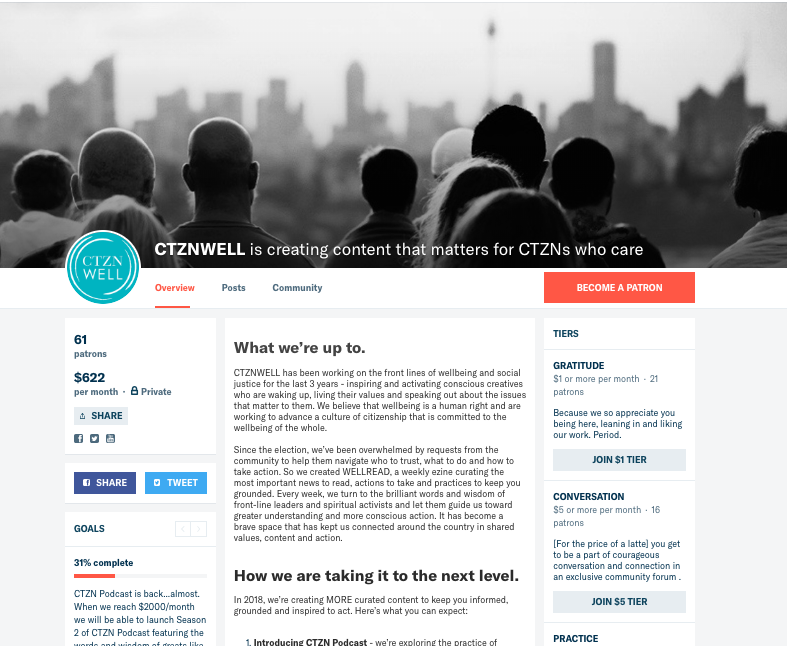 CTZNWELL is a radical network of individuals like you who understand that our wellbeing is bound. We created this program to keep you thriving month after month, while ensuring that everyone else can be well, too. WELLBEING IN A BOX. (For the price of an organic dinner...) you get exclusive access to our virtual subscription, featuring our favorite things for staying well and paying it forward. $25. BECOME A PATRON OF WELLBEING.